Our challenges are open to ANYTHING crafty or arty - cardmaking, scrapbooking, altered art, crochet, knitting, sewing, cake decorating, painting, drawing, candle making, jewellery making, whatever makes you craft or be creative we would like to see it! I was recently commissioned to create a card for a retirement. They wished to have the Catherine McAuley quote on the card, and if I could incorporate the celtic knot design also. I heat embossed a strip of cream card, and used my Martha Stewart punch to create the border. Using my beloved honeycomb folder to emboss some kraft board, I layered up the printed paper background. 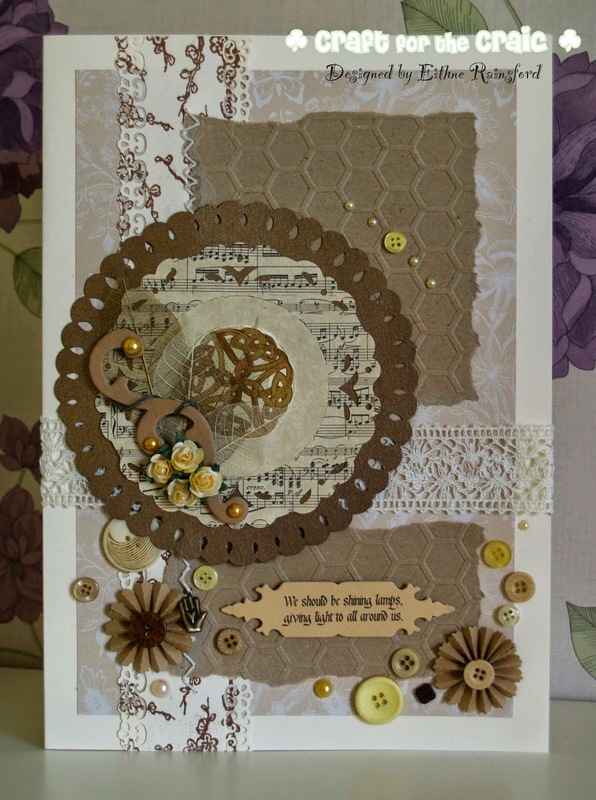 I die cut some music paper to fit in within the irridescent brown card that was punched from a We R Memory's punch. 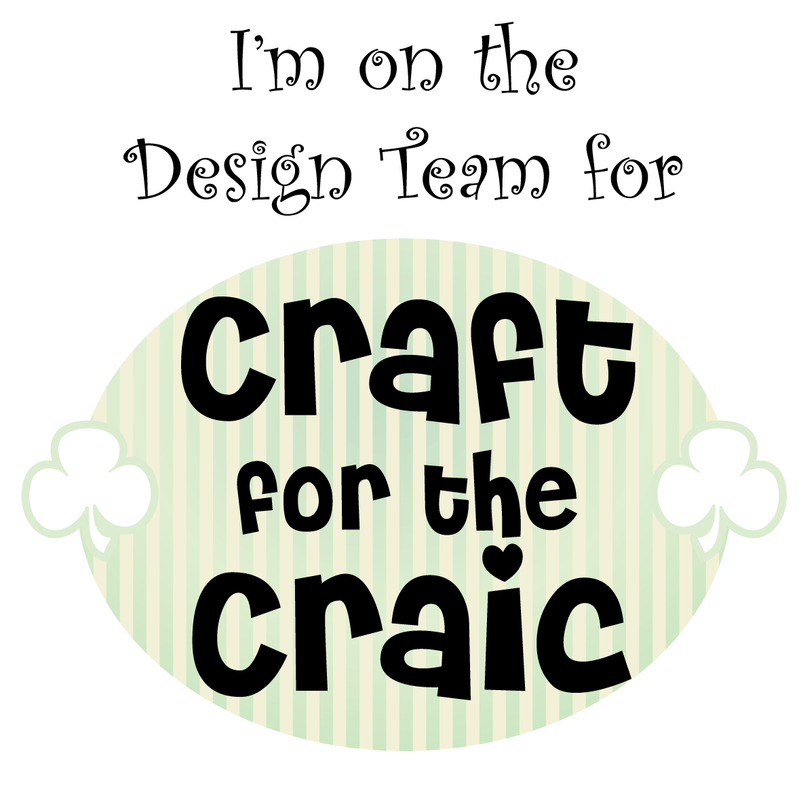 The Celtic Knot was die cut out, and the edges were roughened. I decorated a chipboard with some flat backed pearls, flowers and some skeleton leaves behind it. I put some lace as a horizontal border, and then used some buttons and pearls from my stash to embellish. I die cut the quote from Catherine McAuley and stuck it on with foam pads to give a bit of depth. Why not pop over and take part in the challenge? 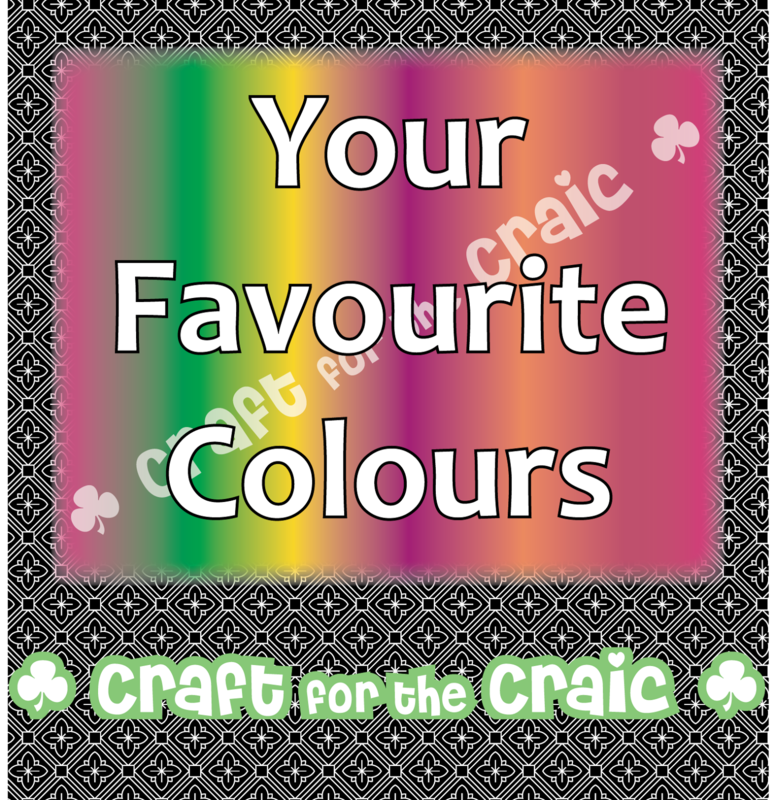 Thank you so much for stopping by, and if you are crafting and it suits our theme, you have until July 31st to enter the challenge. 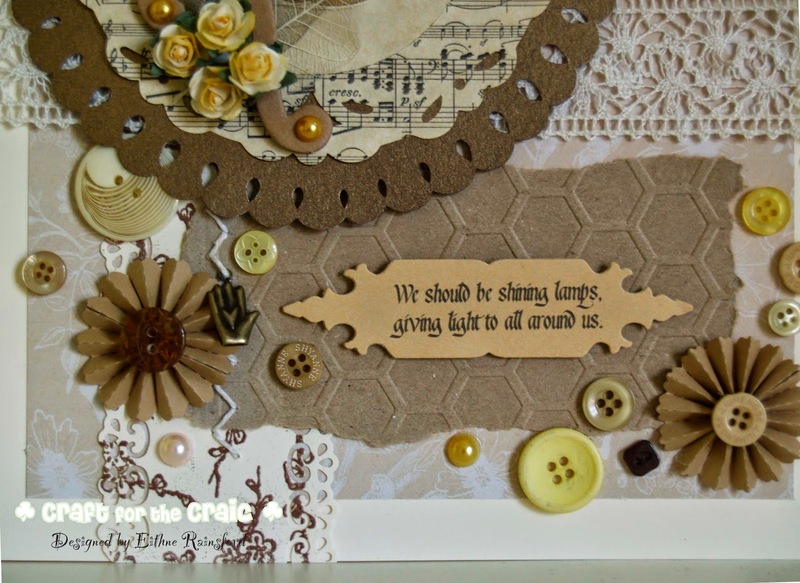 Gorgeous Eithne, love the different textures and fabulous layout. this card is very elegant and rich of stunning details. Thank you for sharing at SFC this week.